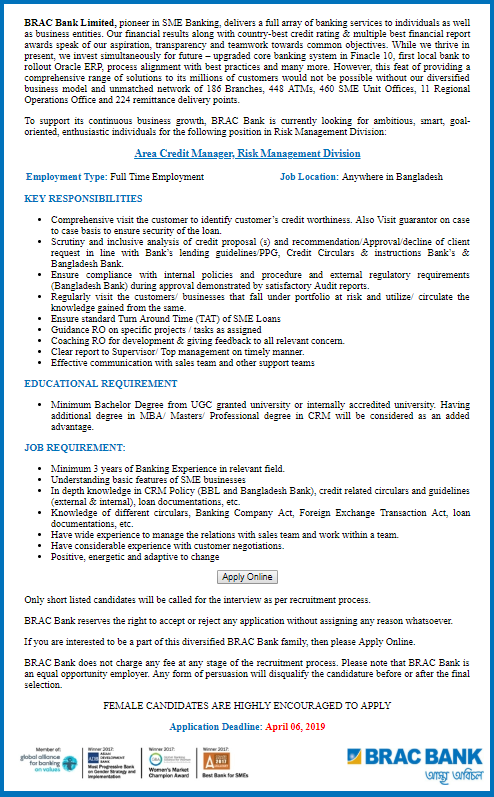 BRAC Bank Limited Job Circular 2019 – www.bracbank.com.BRAC Bank Limited Job Circular 2019. BRAC Bank Job Circular has been Published on 31 March 2019 and Application Apply Last Date 06 April 2019. The bank is the most Popular and Privet Bank Job in Bangladesh. BRAC Bank is one of the best Commercial and faster bank in Bangladesh. This Bank has been Published Job, Officer, Operations & Regulatory Affairs. 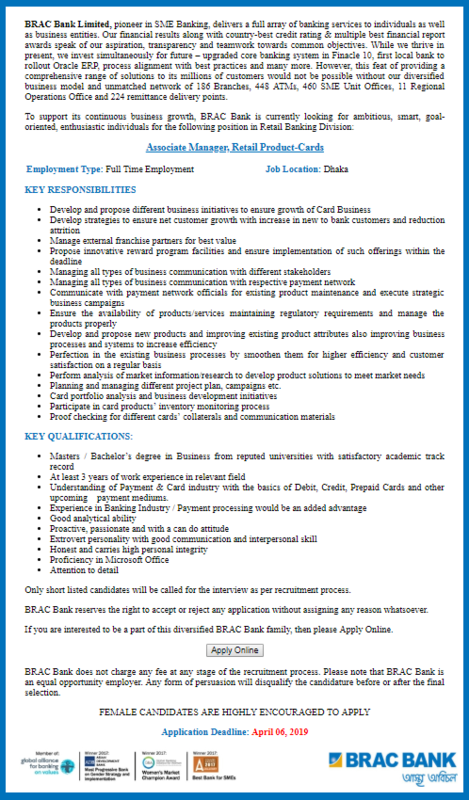 BRAC Bank is currently looking for ambitious, smarts, goal-oriented and enthusiastic individual for its infrastructure Development and Management. If you want to Apply this Circular Visit Our website. Apply Now! !